Given the way love turned her heart in the New York Times bestselling To All The Boys I’ve Loved Before, which SLJ called a “lovely, lighthearted romance,” it’s no surprise that Lara Jean still has letters to write. 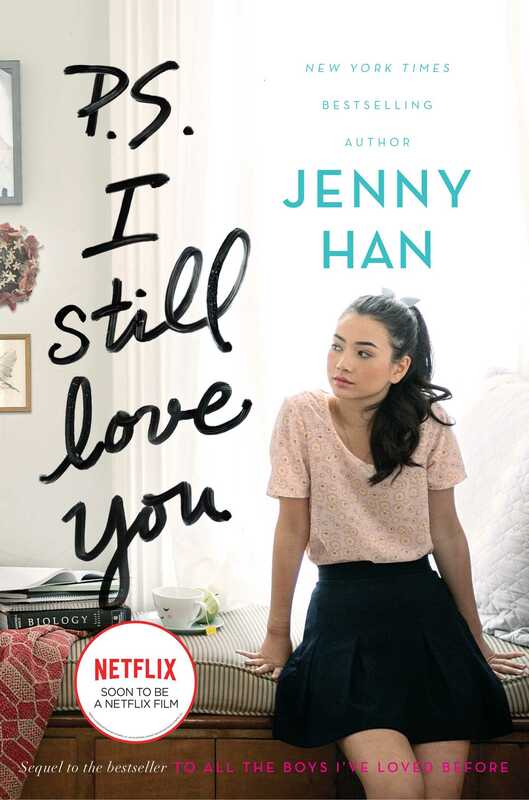 In this charming and heartfelt sequel to the New York Times bestseller To All the Boys I’ve Loved Before, we see first love through the eyes of the unforgettable Lara Jean. Love is never easy, but maybe that’s part of makes it so amazing. KITTY’S BEEN A LITTLE COMPLAINER all morning, and I suspect both Margot and Daddy are suffering from New Year’s Eve hangovers. And me? I’ve got hearts in my eyes and a letter that’s burning a hole in my coat pocket. Kitty points to me and Margot. “Then why do theirs fit?” she demands. Our grandma bought the hanboks for us the last time she was in Korea. Margot’s hanbok has a yellow jacket and apple-green skirt. Mine is hot pink with an ivory-white jacket and a long hot-pink bow with flowers embroidered down the front. The skirt is voluminous, full like a bell, and it falls all the way to the floor. Unlike Kitty’s, which hits right at her ankles. “It’s not our fault you grow like a weed,” I say, fussing with my bow. The bow is the hardest thing to get right. I had to watch a YouTube video multiple times to figure it out, and it still looks lopsided and sad. “My skirt’s too short too,” she grumps, lifting the bottom. The real truth is, Kitty hates wearing a hanbok because you have to walk delicately in it and hold the skirt closed with one hand or the whole thing comes open. In the car Kitty keeps saying “I hate New Year’s Day,” and it puts everyone but me in a sour mood. Margot is already in a semi-sour mood because she had to wake up at the crack of dawn to get home from her friend’s cabin in time. There’s also the matter of that maybe hangover. Nothing could sour my mood, though, because I’m not even in this car. I’m somewhere else entirely, thinking about my letter to Peter, wondering if it was heartfelt enough, and how and when I’m going to give it to him, and what he’ll say, and what it will mean. Should I drop it in his mailbox? Leave it in his locker? When I see him again, will he smile at me, make a joke of it to lighten the mood? Or will he pretend he never saw it, to spare us both? I think that would be worse. I have to keep reminding myself that, despite everything, Peter is kind and he is easygoing and he won’t be cruel no matter what. Of that much I can be sure. “What are you thinking so hard about?” Kitty asks me. I close my eyes and pretend to be asleep, and all I see is Peter’s face. I don’t know what I want from him exactly, what I’m ready for—if it’s boyfriend-girlfriend heavy-duty serious love, or if it’s what we had before, just fun and some here-and-there kisses, or if it’s something in between, but I do know I can’t get his Handsome Boy face out of my mind. The way he smirks when he says my name, how when he’s near me I forget to breathe sometimes. Of course, when we get to Aunt Carrie and Uncle Victor’s, none of the other cousins are wearing hanboks, and Kitty practically turns purple with the effort of not yelling at Daddy. Margot and I give him some side-eye too. It’s not particularly comfortable to sit around in a hanbok all day. But then Grandma gives me an approving smile, which makes up for it. Haven rolls her eyes at her mom. “I love your haircut,” she says to Margot. Haven and I are only a few months apart, but she thinks she’s so much older than me. She’s always trying to get in with Margot. We get ten dollars from Aunt Carrie and Uncle Victor, ten from Daddy, ten from Aunt Min and Uncle Sam, who aren’t our real aunt and uncle but second cousins (or is it cousins once removed? They’re Mommy’s cousins, anyway), and twenty from Grandma! We didn’t get more for wearing hanboks, but all in all a good take. Last year the aunts and uncles were only doing five apiece. Next we do rice cake soup for good luck. Aunt Carrie also made black-eyed pea cakes and insists we try at least one, though no one wants to. The twins, Harry and Leon—our third cousins? Cousins twice removed?—refuse to eat the soup or the black-eyed pea cakes and are eating chicken nuggets in the TV room. There isn’t enough room at the dining table, so Kitty and I eat on stools at the kitchen island. We can hear everyone laughing from over here. As I begin to eat my soup, I make a wish. Please, please let things work out with me and Peter. “Why do I get a smaller bowl of soup than everyone else?” Kitty whispers to me. “Go ask for some,” Kitty whispers. So I do, but mainly because I want some too. While the adults drink coffee, Margot, Haven, and I go up to Haven’s room and Kitty tags along. Usually she plays with the twins, but this time she picks up Aunt Carrie’s Yorkie, Smitty, and follows us upstairs like one of the girls. Haven has indie rock band posters on her walls; most I’ve never heard of. She’s always rotating them out. There’s a new one, a letterpressed Belle and Sebastian. It looks like denim. “This is cool,” I say. “That’s all right,” I tell her. I know she’s only offering it to feel above me, as is her way. Margot and I look at each other and try not to smile. Haven’s never had much patience for Kitty, and the feeling is infinitely mutual. “Margot, have you been to any shows since you’ve been in Scotland?” Haven asks. She plops down on her bed and opens up her laptop. “Not really,” Margot says. “I’ve been so busy with classes.” Margot’s not much of a live-music person anyway. She’s looking at her phone; the skirt of her hanbok is fanned around her. She’s the only one of us Song girls still fully clothed. I’ve taken off my jacket, so I’m just in the slip and skirt, and Kitty’s taken off both the jacket and the skirt and is just wearing an undershirt and bloomers. I sit down on the bed next to Haven so she can show me pictures from their vacation to Bermuda on Instagram. As she’s scrolling through her feed, a picture from the ski trip pops up. Haven’s in the Charlottesville Youth Orchestra, so she knows people from a lot of different schools, including mine. I can’t help but sigh a little when I see it—a picture of a bunch of us on the bus the last morning. Peter has his arm around me, he’s whispering something in my ear. I wish I remembered what. “Is that your boyfriend?” Haven asks me, and I can tell she’s impressed and trying not to show it. Kitty scampers over to us and looks over our shoulders. “Yes, and he’s the hottest guy you’ve ever seen in your life, Haven.” She says it like a challenge. Margot, who was scrolling on her phone, looks up and giggles. “Well, that’s not exactly true,” I hedge. I mean, he’s the hottest guy I’ve ever seen in my life, but I don’t know what kind of people Haven goes to school with. I frown. The non-dating type? What kind of type is that? A little mushroom who sits at home in a semidark room growing moss? “Lara Jean dates plenty,” Margot says loyally. I blush. I date never, Peter barely even counts, but I’m glad for the lie. “What’s his name?” Haven asks me. “Peter. Peter Kavinsky.” Even saying his name is a remembered pleasure, something to savor, like a piece of chocolate dissolving on my tongue. “So then how long have you and Peter been together?” Haven asks me. She has a dubious look in her eye, like she 90 percent believes me but there’s still that niggling 10 percent that has doubt. “It’s not that simple,” I say, though maybe it could be? “Geez, is it so hard to believe?” I narrow my eyes at her, and Haven opens and then wisely closes her mouth. My whole body tingles when she says those words. I once had that exact same thought about Josh, and look at me now: It’s like a million years have gone by and he’s just a memory to me. I don’t want it to be like that with Peter. The farawayness of old feelings, like even when you try with all your might, you can barely make out his face when you close your eyes. No matter what, I always want to remember his face. “Don’t let it be too late,” Margot says, and I know she’s not just talking about me and Peter. I’ve been tiptoeing around the subject of Josh because of everything that’s happened with us. I mean, Margot’s forgiven me, but there’s no sense in rocking the boat. So these past couple of days I’ve stayed silently supportive and hoped that was enough. But Margot leaves for Scotland again in less than a week. The thought of her leaving without at least talking to Josh doesn’t feel right to me. We’ve all been friends for so long. I know Josh and I will mend things, because we’re neighbors, and that’s how it goes with people you see a lot. They mend, almost on their own. But not so for Margot and Josh, with her so far away. If they don’t talk now, the scar will only harden over time, it will calcify, and then they’ll be like strangers who never loved each other, which is the saddest thought of all. “We’ll see,” she says, but I see the hope that flares in her eyes, and it gives me hope too. "Lara Jean’s personality—goofy, awkward, prone to strong emotions, and entirely naïve when it comes to boys—give this touching story an individuality and charm all its own. 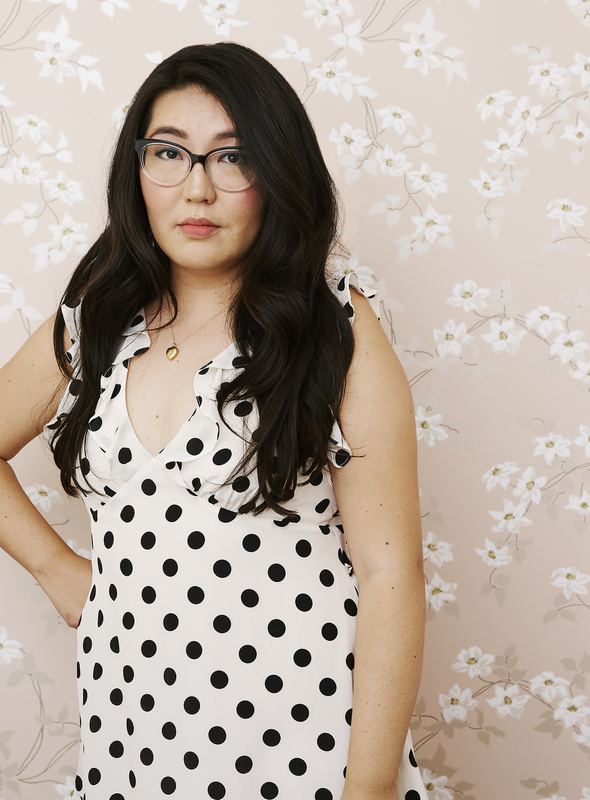 Han creates a realistically flawed cast, especially half-Korean Lara Jean and her sisters, who work hard to be good to one another after their mother’s death (even when they’re at one another’s throats)." "An ultimately compelling exploration of teenage growth and young love." A wonderful choice for fans of Sarah Dessen and Stephanie Perkins. In this lovely, lighthearted romance...readers will remember the Song sisters and the boys in their lives long after the final page turn. "The sparkling dialogue, heartwarming sister relationships, and honest talk make this a must-have title for teen collections." "A sweet and charming sequel that is sure to be devoured by fans of the first book."